There is never a dull moment in parenthood and it esp true with hanging with my now teen (he will be 13 this July!) son who is living life regardless of diagnosis with Autism and other health issues! For instance, Nathan loves going to a city park that has a lake which includes local geese! 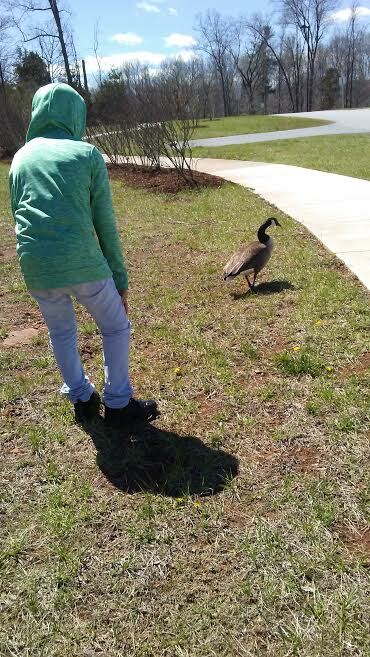 My son went on a "Wild Goose" chase with one goose who waddles away before my son grabs her! 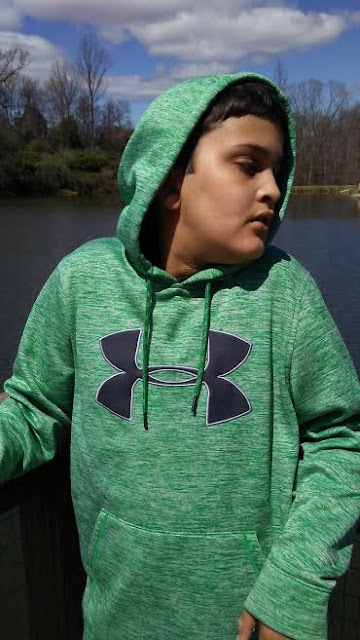 Nathan chilling on the deck over the lake on a sunny day in his UnderArmour hoodie! 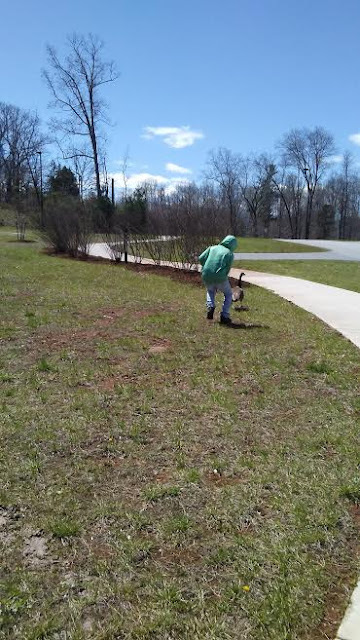 Over the years of taking my son to this lake park, I am blessed as a single mom and Autism mom to have fathers and grandfathers and various fishermen show kindness to my son who loves water and fish! 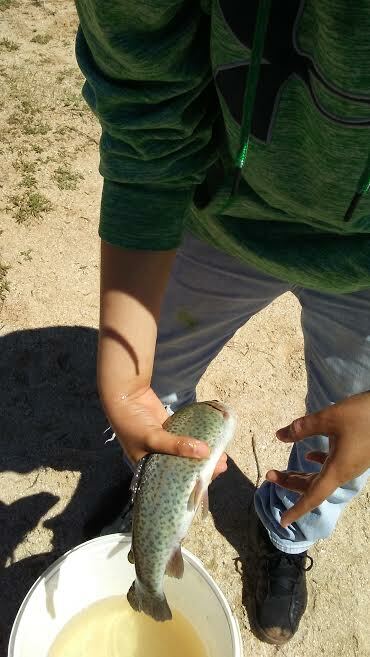 Above picture is Nathan hold a trout which is released back to the lake!! 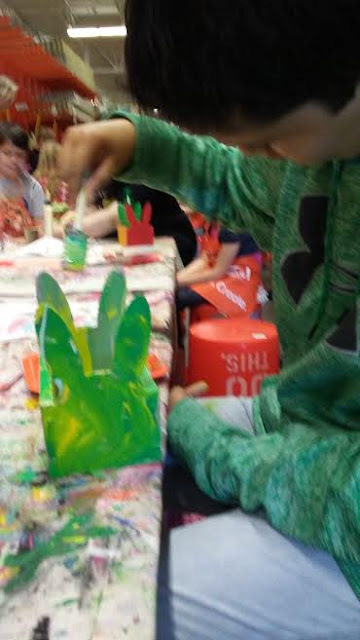 On the first Saturday of each month, we have a "Mother and Son" date to the Kids Workshop at our local Home Depot which featured project was "Bunny Basket" just in time for Easter/Spring! 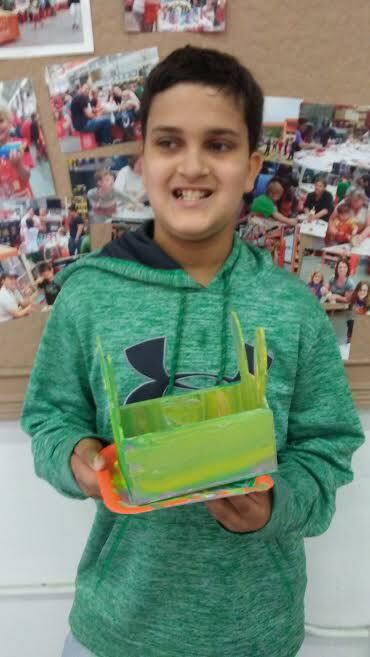 My son picks up his wood kit, builds the parts together, and then choose his colors and paints his final project!! We are blessed to enjoy and learn together with at this family-friendly and inclusive free event at the Home Depot! Nathan posing with his "wet" Bunny Basket at the Home Depot which we let dry in the sun at Grandma's House! 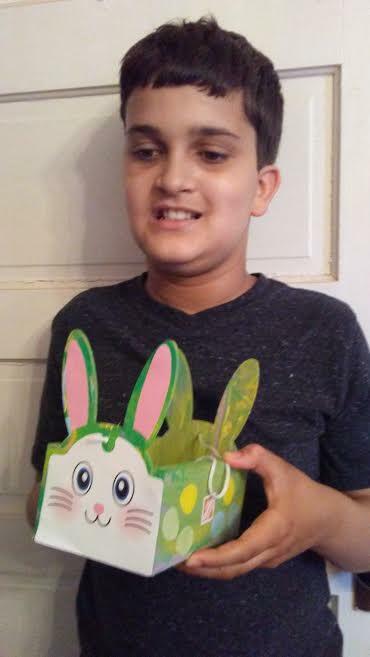 Once the wood project is dry, Nathan finished it with stickers that came with this Bunny Basket which is now ready for to fill with Easter goodies! 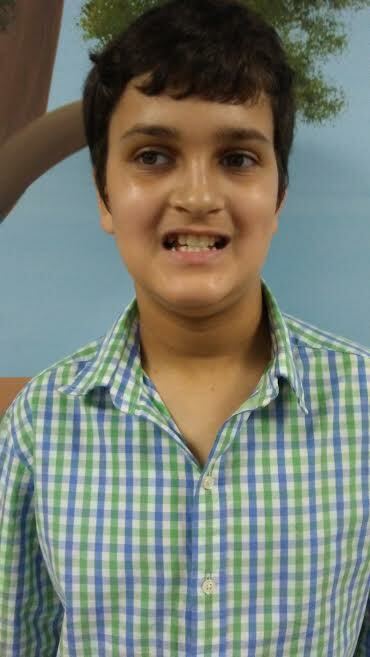 At our church, Nathan attends a special Sunday School class for Special Needs kids which he participates with modified Children's Bible Story, activities and crafts, and caring adults and teens that interact with him!! I am truly blessed as a Christian mom and Autism mom at his continue growth and encourage under the care of these special Sunday School teachers and helpers!! 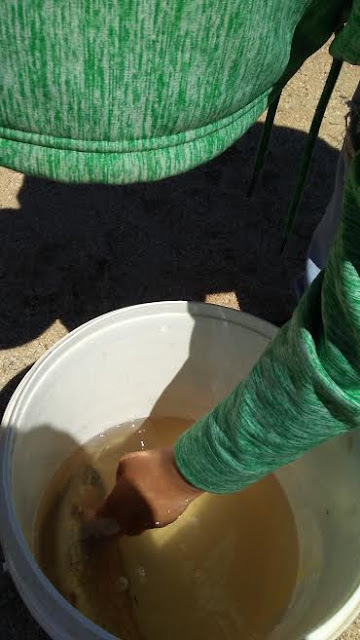 That's quite the fish that Nathan caught! Bravo! 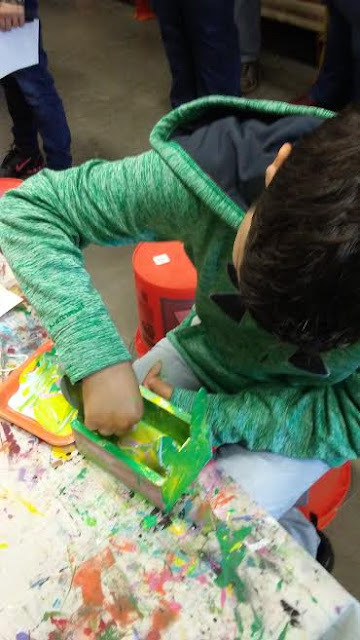 And how wonderful that Home Depot has events for kids. I didn't know that.